It’s a fact long understood by the beauty industry that if your product affects the structure of the human body or the way it works, it’s a drug. A cosmetic, on the other hand, is for cleansing, beautifying, promoting attractiveness or altering the appearance. A product may be both, but can only be classified as a drug if it has gone through rigorous testing by the FDA (the US Food and Drug Administration). In simpler terms, it’s the difference between a tube of lengthening mascara and a prescription of Latisse. But try telling that to Lancôme. The FDA recently noticed that the L’Oreal-owned beauty brand makes some claims that make their products sound less like cosmetics and more like drugs. What do these amazing substances do? 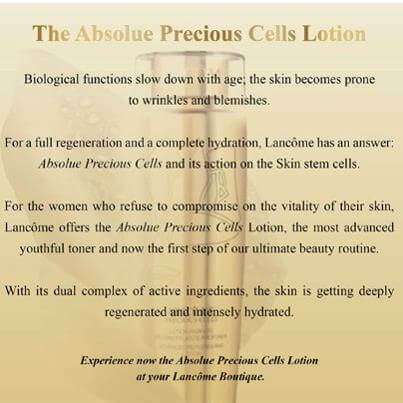 One claims to “[boost] the activity of genes and stimulates the production of youth proteins.” Another product, supposedly, “has been shown to improve the condition around the stem cells and stimulate cell regeneration to reconstruct skin to a denser quality.” Impressive! 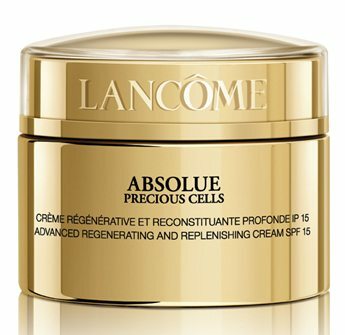 It shall be interesting to see how this plays out as the resolution could pretty well determine the future of the entire anti-ageing industry. 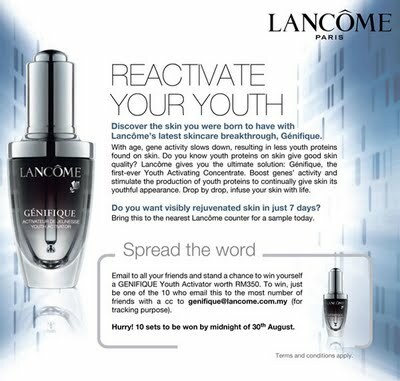 On my end, I hope Lancôme can validate its claims – it would be heartening to have some hope as those sunburnt wrinkles and lines start their inevitable progress up my face. How do you think this will end? Can a bottle that costs US$89 and is sold on department store shelves really harness the complex field of stem cell research and turn back time? Hmm these products do sound too good to be true, but those little jars hold the hopes of a lot of women. It would be sad to see them go. It would be wise to make sensible ads though.